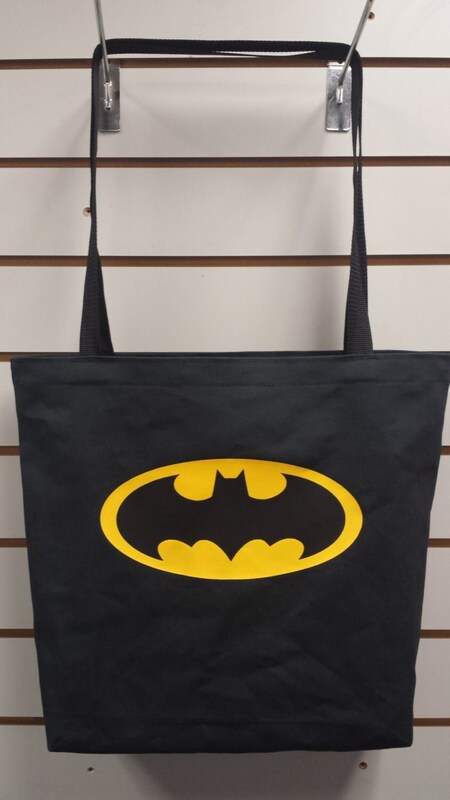 Show your geek pride with this amazing tote! This tote bag is constructed of durable 100% cotton canvas and will help you carry items to your Bat Cave. Each tote is 14 inches deep, 16 inches tall, and 4 inches wide, and is carefully handmade in the USA. STANDARD FABRICATION TIME = 3-4 weeks. RUSH FABRICATION TIME = 1 Week. This item is ready to ship in 3-4 weeks. Orders within the USA take approximately 7 business days to arrive. Orders outside the USA take approximately 25 business days or less, but may take longer to arrive depending on the postal service in your country.